on St Tache Ionescu 9., very close to Piata Romana and to the Magheru Blvd. 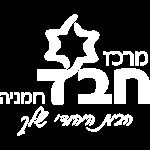 The synagogue is open daily between 8:00am and 8:00pm. Note: There is a minyan (10 Jews) at every prayer. 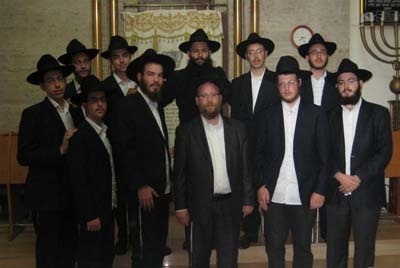 United Jewish Communities in Romania: "Thank you to Chabad"
The Presidents of the Jewish communities in the cities of Romania: Iasi, Roman, Arad, Craiova, Cluj, Brasov and more, approached with great excitement the Chabad representative in Romania, Rabbi Naftali Deutsch, and asked to give their gratitude and appreciation to Rabbi Moshe Kotlarsky who for the past 12 years cares to send them Rabbis for the month of Tishrei, Passover and during the summer months. "Thanks to you hundreds of Jews came to the synagogues and were able to pray properly and to practice the holiday customs", they said excitedly. "Thanks to you hundreds of Jews came to the synagogues and were able to pray properly and to practice the holiday customs", they said excitedly. Also in Bucharest the children of the community experienced a unique Sukkot that included magic show, clowns, stories in the sukkah, Four Species, and inflatable toys. On Monday Chol HaMoed Sukkot in the Chabad sukkah was held a festive reception for the new Israeli Ambassador Mr. Dan Ben Eliezer. Rabbi Naftali Deutsch congratulated the Ambassador and his wife with success in their new role in Romania. Among the guests in the Sukkah: Israeli Consul Ms. Lily Ben Harush, military attache Mr. Shlomi Cohen, President of the Jewish Communities in Romania, Mr. Aurel Vainer, El-Al representative Mrs. Lily Weitzman and many others.